Hello people of the internet!!! On today’s ‘Monday Memos’ we are going to discuss an awesome new band that y’all will hear about A LOT this year. If you haven’t heard of Hey Anna, then you are definitely missing out. This cool indie-pop band’s music has already been featured on numerous awesome websites, and more recently on nylon.com (yeah they’re really THAT cool). The band is comprised of Anna Rauch-Sassen,(vocals), Erin Rauch-Sassen (guitar), Katie Rauch-Sassen (keyboard), Matthew Langer, and Jamie DiTringo. With their debut album ‘Run KoKo’ dropping later this summer, this is the band that you NEED to know about now, before all your friends become obsessed with them. Luckily for us, Hey Anna has recently released a new singe entitled ‘Island’, to get us prepared for the wave of awesomeness that ‘Run KoKo’ will bring. So are y’all ready to discuss ‘Island’? Ok, let’s go! If you’re looking for a fun, yet soothing summer anthem, then ‘Island’ is perfect for you. This song combines the best of Indie and Pop music, into a song that you will be singing along to all year long. I have seriously had ‘Island’ on repeat for the past few days, because it just has this incredible energy that completely makes you incapable of not having it constantly on repeat. I am soooo excited that Hey Anna released ‘Island’ as their upcoming album’s lead single, because it really gets you excited to see what their full album will sound like. It’s not very often that you hear a single and think “wow this band is going to be unstoppable”, but that’s exactly the feeling you get after listening to ‘Island’. So get ready people of the internet, because Hey Anna is about to shake up the music industry in a BIG way! All credit goes to Hey Anna, Twitter, heyanna.com, Instagram, SoundCloud, Facebook, Anna Rauch-Sassen, Erin Rauch-Sassen, Katie Rauch-Sassen, Matthew Langer, Jamie DiTringoany, any and all writers, producers, and any other companies, individuals, and/or businesses involved in the production of Island and/or Run KoKo, any and all companies, individuals, and/or businesses that should receive credit for anything mentioned in this blog post, and all original owners. I do not own anything in this blog. If any people, corporations, businesses, companies, etc, were not previously given credit for their work, they are given credit now and their previous absence was unintentional. All opinions expressed in this blog are my own. I wrote this blog for entertainment purposes and no copyright infringement is intended. celindareyesblog May 5, 2015 No Comments on Monday Memos: Hey Anna, the band whose new song ‘Island’ will be your new summer anthem. Category: Monday Memos. Tagged: amazing, Anna Rauch-Sassen, artist, band, Erin Rauch-Sassen, facebook, Hey Anna, Hey KoKo, heyanna.com, indie, instagram, Island, Jamie DiTringoany, Katie Rauch-Sassen, Matthew Langer, music, new, pop, producer, rock, soundcloud, twitter, writer. Hello people of the internet!!! On today’s ‘YouTube Wednesday’ we are going to talk about an AMAZING vocalist who y’all are gonna be playing on repeat all year! 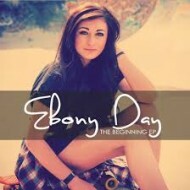 If you haven’t heard of Ebony Day, then please read on and meet your fav new artist. Ebony Day is a 21 year old rising YouTube music star, who (as of February 7th, 2015) has 33,028,043 total views and 314,806 subscribers on YouTube. In 2013, she was also the first unsigned artist to be voted the MTV Artist of the Year (yeah, that’s incredibly impressive!). Ebony’s channel has a cool mix of songs from various different genres, so you’re almost guaranteed to find a cover that you love. So if y’all are ready, let’s dive into the blog post and talk more about Ebony’s covers and original music. The first cover that we’re going to talk about, is Ebony’s rendition of ‘Whatcha Say’ by Jason Derulo, which was uploaded on December 14, 2009 (here’s the link to the video if you wanna check it out: Jason Derulo – whatcha say acoustic cover ebony day). I really like this cover because it’s a really cool, acoustic take on the original song (which is more of an upbeat song). This video is a really good introduction to Ebony’s music, because it really shows off her style as an artist. The next video that we’re going to talk about is Ebony’s version of ‘Good Life’ by One Republic, which was uploaded on October 19th, 2011 (check out the video here: Good Life – OneRepublic (Ebony Day cover) ). I like this cover because we get to see the fun side of Ebony. Most of her videos have a very chilled out acoustic vibe, so it’s fun to see a different side of Ebony in this one. Even though she does come off as a bit shy in the video, it’s fun to see an artist travel outside their comfort zone because it proves that they’re not afraid to grow as entertainers. The last cover that we’re going to talk about is Ebony’s take on ‘Rather Be’ by Clean Bandit feat. Jess Glynne, which was uploaded on February 12th, 2014 (here’s a link to that video: Rather Be – Clean Bandit (Ebony Day & Shaun Reynolds Cover) ). This is one of my all time favorite Ebony covers, because this video perfectly shows just how far she has grown as an artist. In this video we are able to fully see that Ebony is an entertaining performer, who has an incredibly unique and captivating voice. In this video Ebony no longer looks shy performing in front of the camera, and truly looks like a seasoned performer. This cover definitely proves that Ebony only gets better with time, and I am really looking forward to what covers she releases next. Ok, now that we’ve talked about Ebony’s cover videos; let’s talk about her original music. 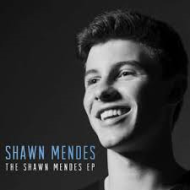 She released her debut EP ‘The Beginning’, on September 29th, 2013. The EP (which you should DEFINITELY pick up in iTunes after you finishing reading this blog post) is a 4 song album which has songs all about love and heartbreak. I picks two of my favorite songs to talk to y’all about (which was hard because I love all of the songs). The first song that we’re going to discuss is called ‘Good Thing Gone Wrong’ (here’s a live acoustic version of the song EBONY DAY – Good Thing Gone Wrong – The Beginning EP (Live Acoustic Sessions) , which was uploaded to Ebony’s channel on September 13th, 2013). This is a sassy song about a relationship gone wrong, that will definitely having you thinking that maybe it’s not so bad if you’re single this Valentine’s Day. I really love a good breakup song that you can cry too (I mean who doesn’t right? ), but it’s also cool whenever artists can release a fun breakup song that doesn’t have to be depressing to be good. The last song that we’re going to talk about is Ebony’s song ‘Crazy Over You’ (here’s a live acoustic version of the song EBONY DAY – Crazy Over You – The Beginning EP (Live Acoustic Sessions) , which was uploaded to Ebony’s channel on September 6th, 2013). This is definitely my FAVORITE song on the EP, because it’s so different from anything that Ebony has previously released. This song breaks away from Ebony’s usual singer/songwriter meets pop vibe, and incorporates more of a Latin music feel (sorta like an early JLo kinda vibe, think of songs like ‘If You Had My Love’). This is such a fun song that’s about what it feels like to really be into somebody (so basically the way we all fangirl over every cute celebrity…you know you do). I loved that Ebony showed that she’s not afraid to take risks with her music, and that she can actually be awesome in a variety of genres. This EP definitely made me excited to see what Ebony releases next! All photos and information used in this blog belong to YouTube, Facebook, Instagram, Twitter, Ebony Day, MTV, Jason Derulo, One Republic, Clean Bandit, Jess Glynne, Jennifer Lopez, Beluga Heights, Warner Bros. Records, Kisean Anderson, Achraf Baahaoui, J-Lex, Jonathan Rotem, Imogen Heap, J. R. Rotem, Fuego, Mosley Music Group, Interscope Records, Ryan Tedder, Brent Kutzle, Noel Zancanella, Eddie Fisher, Warner Music Group, Jack Patterson, James Napier, Nicole Marshall, Grace Chatto, Tommy Reynolds Photography, Shaun Reynolds, craveonentertainment.com, and all other original owners. I do not own anything in this blog. If any people, corporations, businesses, companies, etc, were not previously given credit for their work, they are given credit now and their previous absence was unintentional. All opinions expressed in this blog are my own. I wrote this blog for entertainment purposes and no copyright infringement is intended. celindareyesblog February 11, 2015 No Comments on YouTube Wednesday: Ebony Day…the new rising YouTube star with a voice that you won’t be able to forget. Category: YouTube Wednesday. Tagged: Achraf Baahaoui, Beluga Heights, Brent Kutzle, Clean Bandit, craveonentertainment.com, Ebony Day, Eddie Fisher, facebook, Fuego, Grace Chatto, Imogen Heap, indie, instagram, Interscope Records, J-Lex, J. R. Rotem, Jack Patterson, James Napier, jason derulo, jennifer lopez, Jess Glynne, Jonathan Rotem, Kisean Anderson, Mosley Music Group, mtv, music, Nicole Marshall, Noel Zancanella, one republic, pop, Ryan Tedder, Shaun Reynolds, Tommy Reynolds Photography, twitter, Warner Bros. Records, warner music group, youtube. Hello people of the internet!!! On today’s ‘Monday Memos’ we have a very cool interview with rising singer/songwriter Meghann Wright. In this y’all will learn a little more about Meghann’s music, which artists have influenced her, and what words of advice she has for all of YOU (If you haven’t read my first blog about Meghann, then check it out here ). So please enjoy the interview, and remember to purchase Meghann’s self-titled EP on ITunes. Celinda: Hi Meghann, so to start things off, what/who initially sparked your interest in pursuing a career in music? Meghann: Well, I grew up in a very musical family. My parents were always playing, singing or taking us to concerts. It just seemed like a natural part of life, like eating or sleeping. drawn influence from everything from post emo indie rock to jazz. Celinda: Those are really interesting influences, so who are some other artists/bands that have influenced your music that might surprise your fans? timbre were influenced by that a lot. bands regardless of their genre. Celinda: That sounds like it would be such a tour. So where do you see yourself in 10 years? both. I could also see myself running a small indie label. Celinda: Thank you so much for taking the time to do this interview Meghann, lastly is there anything else you’d like to add for any of your fans who are reading this interview? All photos and information used in this blog belong to Meghann Wright, city of New York, the state of New York, the state of Hawaii. Ben Andress, Blacktop Records, Twitter, Facebook, Sara McLaughlin, Dolly Parton, Stevie Nicks, Fun, the Lumineers, Train, soundcloud, and all other original owners. I do not own anything in this blog. If any people, corporations, businesses, companies, etc, were not previously given credit for their work, they are given credit now and their previous absence was unintentional. All opinions expressed in this blog are my own. I wrote this blog for entertainment purposes and no copyright infringement is intended. 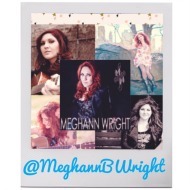 celindareyesblog December 2, 2014 1 Comment on Monday Memos: Interview with singer/songwriter Meghann Wright. Category: Interviews, Monday Memos. Tagged: Blacktop Records, city of New York, Dolly Parton, facebook, fun, indie, interview, jazz, Meghann Wright, memos, monday, music, pop, Sara McLaughlin, soul, soundcloud, Stevie Nicks, the Lumineers, the state of Hawaii. Ben Andress, the state of New York, tour, Train, twitter. Hello people of the internet!!! On today’s ‘YouTube Wednesday’, we are going to discuss Dylan Gardner, an INCREDIBLE singer/songwriter/producer, who is on his way to taking the music industry by storm! Dylan is from San Tan Valley, Arizona, and according to his website’s bio, “…has spent the last 10 years of his life obsessed with the art of songwriting…”. The bio also says that Dylan is a self-taught multi-instrumentalist, and Pro-Tools producer (doesn’t this guy make you feel like you’ve wasted your life on Netflix…yeah me too). In 2013, he was signed to Big Deal Music Publishing, and recorded his debut album ‘Adventures in Real Time’, which was co-produced with John Dragonetti of the indie rock band ‘The Submarines’. I first heard his music when he performed as a guest star on Shane Dawson’s podcast, and from the minute I heard Dylan sing, I was COMPLETELY obsessed with his music, and knew that I had to let you all know about him (if you were already a fan, then you know why we have to make sure EVERYONE knows about him). 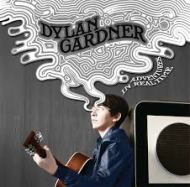 So please read on to see why Dylan Gardner’s music is what you should be thankful for this year. Dylan uploaded the first video (a cover of the entire second side of The Beatles’ ‘Abbey Road’ album, with each song performed in 15 second intervals) on his YouTube channel on April 9th, 2014 (you can check out the video here: http://www.youtube.com/watch?v=fIfb4BuTL1A&list=UUBRDzAp5-vMtxPz3ZlE8J4g). I really enjoyed this cover because it was creative (I mean who else would think to cover an entire side of an album), and it really showed what an incredible musician he is. In this video we got to not only see Dylan sing, but also play numerous instruments such as: the piano, electric guitar, acoustic guitar, and ukulele. The cover really flowed well, and felt like one big song of Beatles awesomeness. The next video we are going to discuss is Dylan’s cover of Vampire Weekend’s song ‘Diane Young’, which was uploaded on June 18th, 2014 (you can check out the video here: http://www.youtube.com/watch?v=QZrfTd_7p1s&list=UUBRDzAp5-vMtxPz3ZlE8J4g&index=6). This was a really cool cover because it kept the vibe of the original song, but also added a special energy that Dylan’s fans have come to love. Another thing that I really liked about this cover is that it was an acoustic cover that Dylan performed live in his bedroom. This felt really special, because it takes you back to when your favorite YouTube artists would make similar covers in their rooms. This cover definitely holds a nostalgic vibe because of this, which just adds another layer of cool to this video. Next up we have Dylan’s mash-up of alternative rock band Ben Folds Five songs, which was uploaded on June 25th, 2014 (you can check out the video here: http://www.youtube.com/watch?v=8EaUF95V2Hk&index=5&list=UUBRDzAp5-vMtxPz3ZlE8J4g). This is definitely one of my favorite covers that Dylan has done (even though that’s sort of hard to say because their all awesome). What makes this cover stand out a bit, is the fact that he performs a mash-up of snippets of Ben Folds Five songs, that start with different letters of the alphabet (by the end he’s covered songs that have titles ranging from A-Z). I just found this idea to be not only very creative and cool, but it also shows the type of meticulous dedication Dylan has in his work when it comes to his craft. I can’t imagine how long it took to find the songs, arrange them so they sound like one big song, learn to play the music on the piano, and then actually film it. This video should make us all really excited, because if Dylan puts this much hard work into a cover video, imagine how much hard work and creativity he puts into his own music! The last video that we are going to discuss is his ‘Let’s Get Started (through the Decades)’ video, which was uploaded on July 7th, 2014 (you can check out the video here: http://www.youtube.com/watch?v=5FL_6s6U0b4&list=UUBRDzAp5-vMtxPz3ZlE8J4g&index=4). I decided to add this as a bonus video on this blog post, because it was just too awesome to leave out. The video plays the first 1min 40sec of his debut single ‘Let’s Get Started’ (off of his debut album ‘Adventures In Real Time’, which we talk more about in the section below). 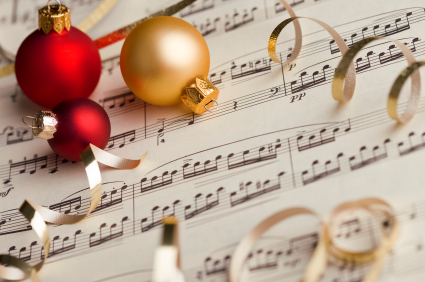 The song is divided into 9 sections, and each section shows the sing performed in the style of a different decade of music, ranging from the 1930s-2014. I LOVE this idea so much I honestly can’t even tell you guys how much! I have never seen a video like this, and it’s definitely a really fun promo piece for the single, and shows that no matter what style of music it’s performed in, ‘Let’s Get Started’ is a great song. This video also cements the fact that Dylan is a very creative and talented musician, and makes me REALLY excited to see what he releases in the future. The first song off of Dylan’s debut album that we’re gonna talk about is the lead single ‘Let Get Started’ (you can see the official music video here: http://www.youtube.com/watch?v=j-ZvVm2d5a8). I think that this was an excellent choice to kick off Dylan’s career, because the song is fun, upbeat, and incredibly infectious. 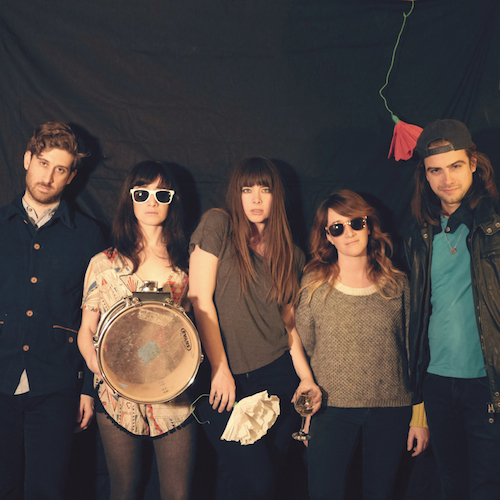 It has a very indie rock vibe, and will definitely have you singing along and dancing. I am honestly so obsessed with this song that I have had it on repeat ever since I first heard it (I promise you’ll feel the same way once you hear it!). Honestly this song does everything a good lead single is suppose to do, it brings the audience in and leaves you excited to see what else is on the album. I definitely give this song 5 smiley faces (because smiley faces are more fun than stars). Next up we’re going to discuss another AMAZING song on this album called, ‘Heroes Tonight’. This song has a very Coldplay meets The Lumineers kind of feel, that I think will quickly become a fan favorite. The song has a very “young and free” vibe to it that makes it the perfect song to jam out to in the car, listen to while you’re working out, or have a hairbrush karaoke session to (release that inner rock star people of the Internet!). The final song that we’re going to talk about is the song ‘With a Kiss’. I really love the lyrics in this song, because they really show off Dylan’s talents as a storyteller. One of my fav lines has to be in the hook when he says, “Love’s just a life, we all start with a kiss”, this simple sentence perfectly sums up every love story we’ve ever heard, and is a really interesting take on the classic love song. Although I wish I could have reviewed all of the songs on this album (because they’re all awesome), I picked 3 that I felt really showed off Dylan abilities as a singer/songwriter & producer. I would definitely suggest that you all check out the entire album, because all of the songs will blow you away. All photos and information used in this blog belong to Dylan Gardner, YouTube, Twitter, Instagram, Website, Facebook, Warner Bros. Records, Shane Dawson, Shane and Friends, the city of San Tran Valley, the state of Arizona, Big Deal Music Publishing, Netflix, John Dragonetti, The Submarines, The Beatles, Abbey Road, Vampire Weekend, Ben Folds Five, Coldplay, The Lumineers, Apple Records, George Martin, Michael Graham, and all other original owners. I do not own anything in this blog. If any people, corporations, businesses, companies, etc, were not previously given credit for their work, they are given credit now and their previous absence was unintentional. All opinions expressed in this blog are my own. I wrote this blog for entertainment purposes and no copyright infringement is intended. celindareyesblog November 27, 2014 No Comments on YouTube Wednesday: Dylan Gardner…the music industry’s newest triple threat. Category: YouTube Wednesday. Tagged: Abbey Road, All photos and information used in this blog belong to Dylan Gardner, Apple Records, Ben Folds Five, Big Deal Music Publishing, blog, coldplay, facebook, George Martin, indie, instagram, John Dragonetti, Michael Graham, music, netflix, pop, rock, Shane and Friends, Shane Dawson, the beatles, the city of San Tran Valley, the Lumineers, the state of Arizona, The Submarines, twitter, vampire weekend, Warner Bros. Records, website, youtube. Hello people of the internet!!! On today’s ‘Monday Memos’ we are going to discuss an AMAZING singer/songwriter, that I can’t wait for y’all to fall in love with (because trust me, you will become addicted to her music VERY soon!). This artist’s voice is so diverse that it doesn’t matter if you like pop, indie, country, or any genre in between, you WILL find something you like about her music. So get familiar with the name Meghann Wright now, because I guarantee that she will not remain music’s best kept secret for much longer. So if y’all are ready, please read on and learn all about Meghann now, before your friends beat you. Now that you know a little about Meghann, let’s talk about some of her music. Ok? Ok! Meghann released a self-titled EP earlier this year. I really love this EP because all the songs are very different, and really give you a small taste of just how much of a talented and musically diverse artist Meghann is. The first song we are going to talk about is the emotional ballad, ‘Can’t Carry Water’. This song is about the sadness and lost that comes when you realize that you can’t make someone love you. 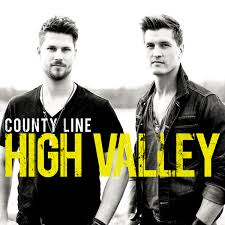 It has a very country meets indie sound, with a hint of edge (think along he lines of what it would sound like of Sara McLaughlin, Dolly Parton, and Stevie Nicks got together and created an EPIC song). I really like the metaphor that Meghann uses of comparing not being able to make this person love you, to not being able to carry water with your bare hands. My favorite thing about this song is the honesty and pain that you hear in Meghann’s voice. I really love it when you feel that an artist really put Los their whole heart and soul into a song. I would definitely suggest playing ‘Can’t Carry Water’ the next time you go through a breakup, or the next time your celebrity crush ignores you on Twitter (they’re just playing hard to get guys…that’s gotta be it right?). The next song that we’re going to talk about is her upbeat song ‘Left My Heart In Brooklyn’ (check out the official music video here http://www.youtube.com/watch?v=TdxSLC2lrp4&list=UU30xk__9EhjipHjzfaomJYA). This song is about loving someone and telling them that no matter how you’re separated, you will always find your way back to one another. It’s a really fun take on the cliche love ballad, and will definitely be a breath of fresh air on any of your playlists. ‘Left My Heart In Brooklyn’ is a really fun indie style song that fans of bands such as Fun, the Lumineers, and Train will fall in love with. I really love the cool whistle that you hear the throughout the song, because it’s something really different that just gives the whole track a cool blues vibe. There is also a soulfulness to that song that will remind you of amazing female singer/songwriters such as Joni Mitchell and Stevie Nicks. You can purchase both of these songs on ITunes, so finish reading the blog then jump right on that (I promise your ears will thanks you!). The final song that we’re going to discuss is available on ITunes in Canada, but if you live outside Canada, you can listen to it (and lot’s of other INCREDIBLE Meghann songs) on Soundcloud. The final song that we’re going to discuss is a powerful, song called ‘Worth It’. This song is about a guy who cheats on a girl, and the girl is furious about it. I love that this song isn’t only angry, but it’s also very sassy, and doesn’t give into the stereotype of the “heartbroken, bitter, woman”. ‘Worth It’ stays with the indie sound that is at the core of all of Meghann’s songs, but adds a more prominent jazzy vibe that will make you feel cool and tough just by listening to it. This is definitely a song that I have had on repeat ever since I first heard it, and I promise that y’all will not be able to resist singing to this after just a few listen (I sense an epic sleepover singalong!). As y’all can see Meghann is a star on the rise that you want to become obsessed with now, before everyone else does. She has already shown that she is an accomplished vocalist who shines in every genre she incorporates within her music, and an INCREDIBLE songwriter who has the unique ability of tapping into real human emotions and painting a story that we can all relate too. I am really excited about what’s ahead in Meghann’s career, because she has that special something that just captivates you and makes you want to keep listening (and trust me, after you hear just 1 of her songs, you won’t want to quit listening to her). celindareyesblog November 24, 2014 1 Comment on Monday Memos: Meghann Wright…the cool singer/songwriter that says everything we’re afraid to say. Category: Monday Memos. Tagged: alternative, Blacktop Records, blog, city of New York, Dolly Parton, facebook, fun, indie, jazz, Meghann Wright, music, pop, rock, Sara McLaughlin, soundcloud, Stevie Nicks, the Lumineers, the state of Hawaii. Ben Andress, the state of New York, Train, twitter. Monday Memos: My interview with YOUR newest favorite indie pop band Trapdoor Social!!! Home | Interviews | Monday Memos: My interview with YOUR newest favorite indie pop band Trapdoor Social!!! Hello people of the internet!!! On today’s ‘Monday Memos’ I have another exciting interview for y’all. 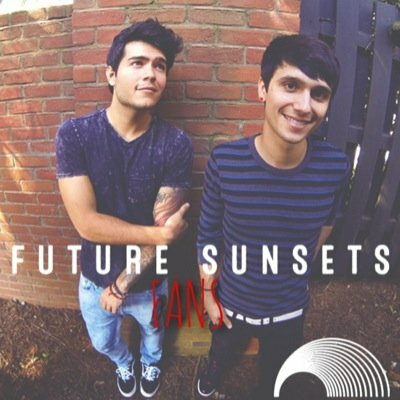 I recently asked Merritt Graves, and Skylar Funk of Trapdoor social some questions about the band’s musical influences, what inspired the sound of their newest EP ‘Science of Love’, and what they want their legacy to be. Whether you’re already COMPLETELY addicted to this rising indie pop band, or you haven’t heard of them but want to know more (you can read this previous blog to learn more about the band Monday Memos: Trapdoor Social. Great Music, Big Hearts | celindareyesblog), then please read on, and remember that their newest EP ‘Science of Love’ is available for purchase on ITunes. Celinda: Hi guys! I read that you first formed the band at an environmental event at Pomona College. What initially sparked the idea of starting a band together? Trapdoor Social: We were both very concerned about sustainability and wanted to make music, so we decided to combine the two into a single project. Celinda: Very cool. So what bands or artists have influenced your musical style? Merritt: For me it’s been Radiohead, Muse, Tears for Fears, Third Eye Blind and Death Cab for Cutie. Skylar: Bon Iver, Jimmy Eat World, Postal Service, Macklemore, Third Eye Blind, Ratatat, Cake, yOya, etc. Celinda: Are there any bands or artists that have influenced you that may be surprising to your fans? Merritt: I don’t know about surprising per se, but our influences stretch pretty far apart and it can be interesting to see how we can fuse them. For example, I really like orchestral stuff, while Skylar likes rap and funk, so all of these interests come together in some unpredictable ways. Celinda: That’s really interesting, so what inspired your sound for your latest EP ‘Science of Love’? Trapdoor Social: We wanted to write a song you could really groove to, after that everything else just seemed to fall into place, once we had that feel locked in on the chorus. That’s what often happens on a song, you get a beat or a melody that you’re compelled by and it informs the next thing which informs the next thing – so on and so on. Celinda: Definitely sounds like a really fun process. I know that this next one might be a hard question to answer, but what’s your favorite track on ‘Science of Love’? Celinda: I love both those songs too! So, I feel that your music just continues to get better and better, how would you say your music has evolved from ‘Death of a Friend’ to ‘Science of Love’? Trapdoor Social: Well, we definitely have some more electronic elements but the albums also reflect what we’re feeling and what we care about at the time, and of course some of that changes and some of that stays the same. For example, on Science of Love we still greatly care about and promote sustainability, but we’ve started thinking more about how sustainability applies to technology – those ideas definitely bleed into how we write lyrics. Celinda: That’s really cool; it makes me excited to see what will be discussed on the next project you work on. Now I usually like to ask this question because I find that every artist/band gives me really unique answers, but how do you each prepare for a performance? Trapdoor Social: We always try to think about the things that really matter to us and freeze everything else out . . . then it’s just you and the music and the people you’re trying to connect to. Also, It’s not very rock and roll, but we always do a vocal warm-up beforehand, too. Celinda: I’m sure your fans appreciate the fact that you’re so mentally and physical prepared when you go on stage, it definitely makes the energy in the room feel different. Another question that I like to ask artists/bands is what’s one thing that you wished you had known about the music industry before entering it? Trapdoor Social: We knew it was going to be tough so no surprises there. Celinda: I love that you guys were prepared, makes the quality of your work so much better. So what would you like your legacy to be? Merritt: To have always tried our best in the face of adversity. Skylar: To leave the world better than we found it. Celinda: Those are some really amazing answers; with this kind of positivity, I certainly think that you guys will be remembered fondly by your fans. So, is there anything else you’d like to add for your fans, or for people who are just now discovering your music? Trapdoor Social: Just to stop by and say “hi” on Facebook or Twitter, or come see us on tour this summer! We love to meet the people who listen to us. Celinda: Well that’s all for now guys, but thank you for your time and good luck on the rest of your tour! All photos and information used in this blog belong to Trapdoor Social, blastyourstereo.com, diffuser.fm, antimusic.com, all of the people, businesses, and organizations that are associated in any way, shape, or form with Homeboy Industries, Death Cab For Cutie, Maroon 5, The Fray, Blink-182, Jimmy Eats World, American Authors, Simple Plan, Metro Station, Jason McGerr, Pomona College, Merritt Graves, Skylar Funk, Bedrock Studios, all of the directors, producers, and any other individuals who made these tracks and music videos possible, and all other original owners. I do not own anything in this blog. All opinions expressed in this blog are my own. I wrote this blog for entertainment purposes and no copyright infringement is intended. celindareyesblog July 28, 2014 No Comments on Monday Memos: My interview with YOUR newest favorite indie pop band Trapdoor Social!!!. Category: Interviews, Monday Memos. Tagged: alternative, awesome, band, catchy, fun, indie, music, new, rock, tour, trapdoor social.